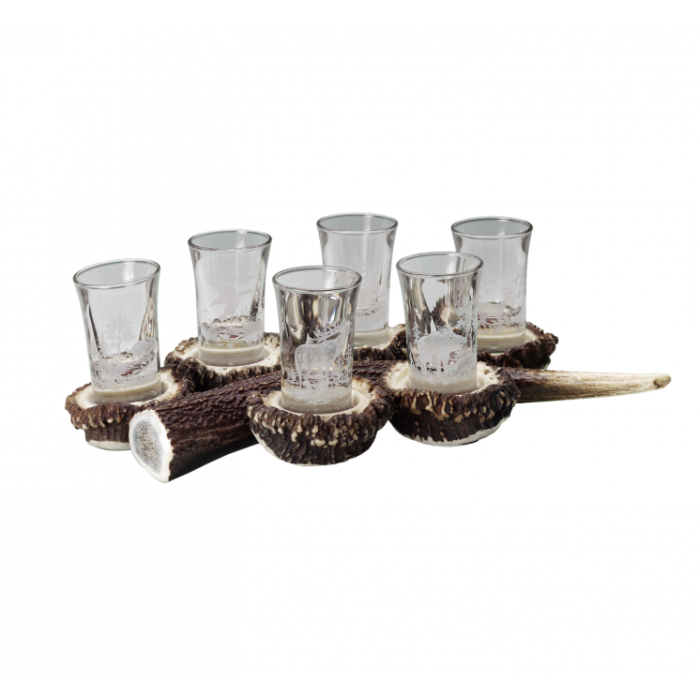 Gift set with 6 shot glasses. 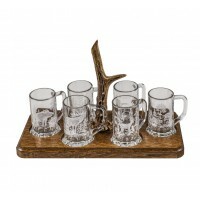 7 cm in height on Staghorn board. 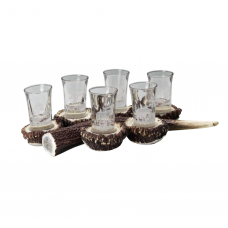 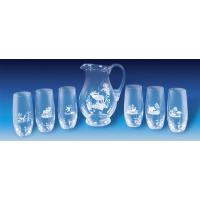 Fritzmann Schnapps serving set Gift set with 6 handled shot glasses. 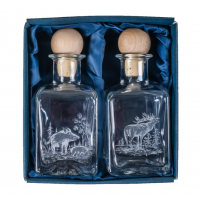 6 cm in height on oak..
Vinegar and oil bottle gift setSet of two bottles - for vinegar and oil with hunting decor. 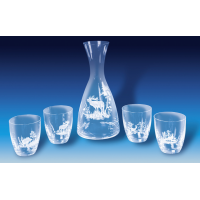 In ..
Fritzmann Wine set 7 pcs.